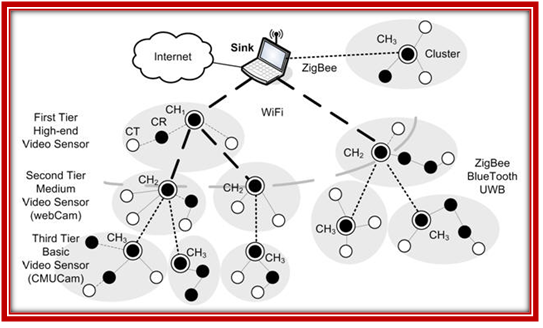 WSN referred as Wireless Sensor Network is a network of RF transceivers, sensors, machine controllers, microcontrollers, and user interface devices with at least two nodes communicating by means of wireless transmissions. Bring out fertilizer/pesticides/irrigation only when needed. Intrusion detection into industrial sites and other restricted areas. Control of leakage in chemical plants. Long-term surveillance of chronically ill patients. Ability to cope with node failures. Scalability to large scale of deployment. Power consumption constraints for nodes using batteries.